Our good friends at Absolutepunk.net just premiered the new video for "Eyes Of A Man" from Western, MA pop-punk gurus Traditions. The song is from their debut album "Cycles", which you can get from us on 12"/CD/Digital right here. The Take This To Heart Records Tour Starts Today! Super excited to have the Take This To Heart Records tour start today. It features Stanley And The Search, No Tide and Traditions . All of them have brand new records out this year and will be working their butts off promoting them. Good luck boys! "Weightless" From Stanley And The Search Is Out Today! 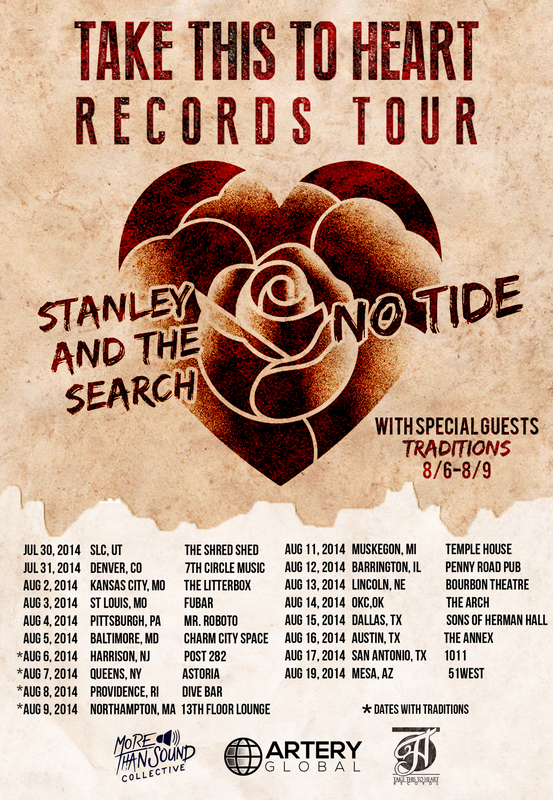 The new full length album from Stanley And The Search drop todays! "Weightless" is available on 12"/CD/Digital through us and be sure to check out SATS, No Tide and Traditions on the Take This To Heart Records tour this summer! Here is SATS's last tour video set to the tune of "Dust You Off", which is from the new full length.